Good design is more than balancing typography and photography; it understands how a user interacts and navigates a design whether its digital or tangible. Part of the Campbell University’s recent re-brand included the centralization, redesign, and restructuring of over nine college and school websites. What if the experience was seamless? One of the challenges Campbell University faced before a university-wide multisite consolidation was each of their colleges and schools had their own brand and visual identity outside of the university. This disjointed web experience was impossible to maintain because each school's site was developed and housed externally making it impossible for the internal staff to manage. 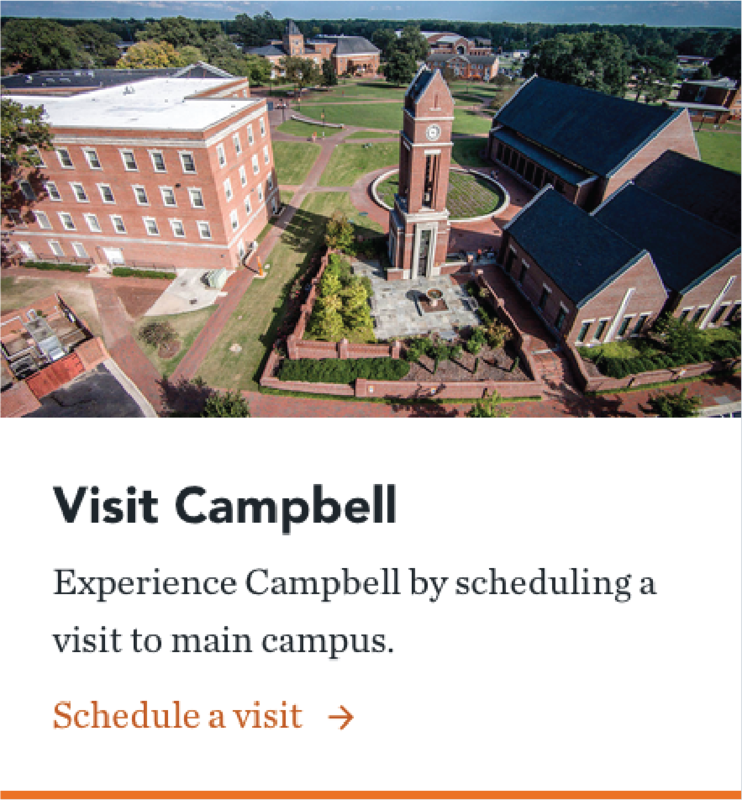 Combined with a university rebranding and brand consolidation, every unit on campus was brought under the campbell.edu umbrella and worked with the web team to develop a seamless experience with on-brand customization throughout the website. What if we narrowed our target audience? The previous website had multiple rows of links and tailored to internal clients. The redesign shifted the target audience to prospective students, and the navigation was trimmed down to the bare essentials. Multiple options were explored including consistent parent navigation at the top with school-specific navigation under the header. Navigation under the university logo became problematic because of spacing issues. Ultimately unit specific navigation located under the header was the best option because it allowed for the most flexibility. How do we remain on brand? To ensure consistency throughout the main and sub-sites, modular elements like cards and bands were developed with multiple customizability options. These widgets combined with a detailed style guide ensure brand consistency. This alert system was developed to allow the university to easily communicate to its audience to inform them of safety concerns, life threatening emergencies and weather alerts. The original designs were full of bells and whistles like allowing users to cycle through alerts and messages but after further analysis and testing we determined that the development didn't need to be as in depth because the alert system was not used on a regular basis.